Item # 302480 Stash Points: 2,495 (?) This is the number of points you get in The Zumiez Stash for purchasing this item. Stash points are redeemable for exclusive rewards only available to Zumiez Stash members. To redeem your points check out the rewards catalog on thestash.zumiez.com. Lurk hard in the Peeking Black Trucker Hat from Lurking Class By Sketchy Tank. 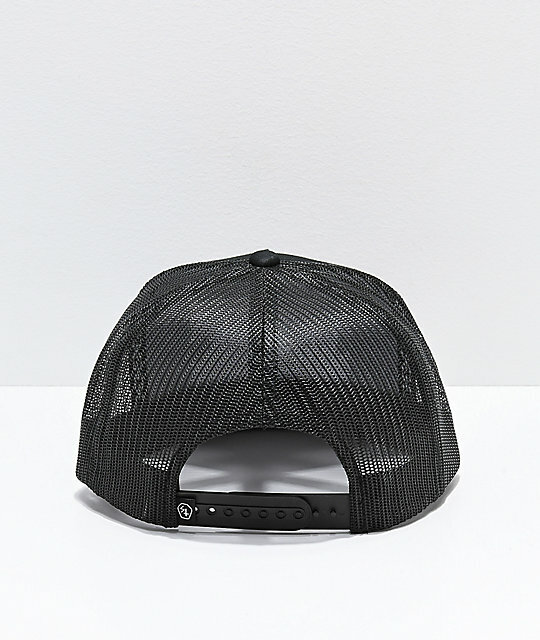 This snapback hat features an embroidered peeking skull graphic at the front panel while the mesh back panels offer a breathable wear. 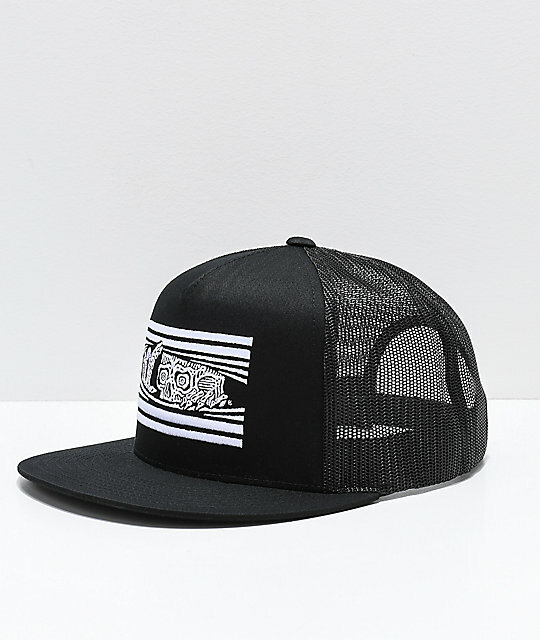 Peeking Black Trucker Hat from Lurking Class By Sketchy Tank. 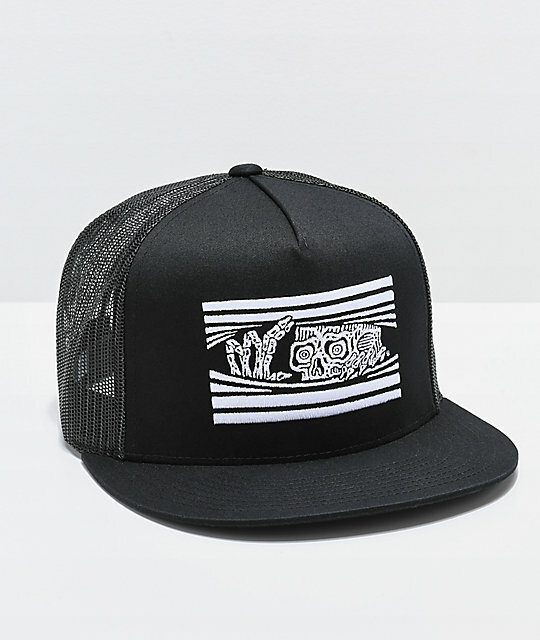 Embroidered logo graphic on the front crown.